You might think that you know EVERYTHING, yes, everything there is to know about that merry band at Bloomsbury. You know who slept with whom, who wanted to sleep with whom, who shouldn't have slept with whom, and on and on. You have read all the letters, diaries, and biographies. You have visited their houses in person, online, and in books. There is absolutely NOTHING you don't know about Bloomsbury. There is something you don't know. While the literary ensemble that has become its own growth industry few have taken more than a passing look at the food of Bloomsbury. I mean, after all that sleeping around, they had to have quite an appetite. Well, actually, there has been some peeking into the culinary exploits of the literary gang. Several years ago, we wrote about a little self-published booklet about Grace Higgens. Grace at Charleston featured memories and recipes from the housekeeper of Vanessa Bell. 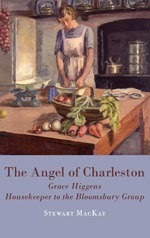 Recently, Stewart MacKay wrote a slim biography of Grace Higgens, The Angel of Charleston. 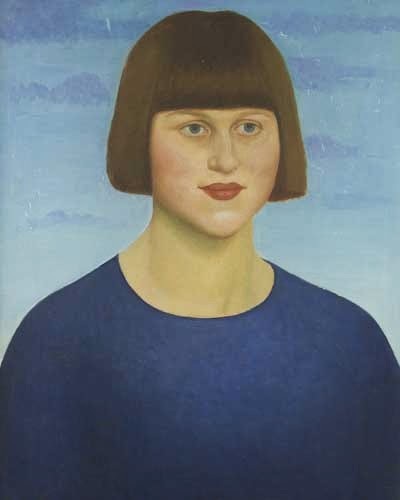 Expanding on Grace's memories, and her correspondence, MacKay looked at references to Higgens in the many memoirs and letters of others at Bloomsbury, as well as the memories of Vanessa Bell's children and grandchildren. While Higgens and Bell had moved past the rigors of the traditional Edwardian upstairs/downstairs dichotomy, there was still a broad chasm between the life of the very privileged Bell and her housekeeper. In an interview with the BBC, Higgens spoke about her time with Vanessa Bell. "Grace at Charleston, though small, is the closest thing to a Bloomsbury cookbook there is, an I find it to be a treasure." A treasure, yes, but now we are blessed with mother lode of treasures, The Bloomsbury Cookbook. Jans Ondaatje Rolls has produced one of the most beautiful and literary cookbooks ever. She has combed the archives of the Charleston Trust and many other sources to assemble a cookbook that reflects the food of Bloomsbury. Let's face facts, there was very little cooking actually done by the Bloomsbury group as they were occupied with sleeping around, painting, writing, dancing, gardening, and other things. But they always had dinner and they were writing about it and painting it with reckless abandon. Ondaatje Rolls has artfully gathered together the paintings and writing that frame the food. 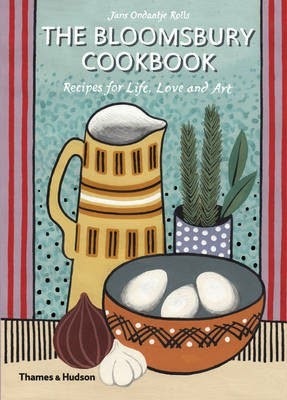 The recipes have been drawn from actual cooks for Bloomsbury like Grace Higgens and from hand written recipes from the collections of Angelica Garret and Helen Anrep and Lydia Lopokova. When an event is recounted with no direct recipe attribution, Rolls uses the popular cookbooks of the day to recreate the recipe or she makes her own. The Bloomsbury Cookbook is a truly memorable work of art. It is filled to the brim with painting and photographs. There are excerpts from memoirs and novels. There are hand written recipes and memories. And there is food. If you are a fan of any one of these literary characters or a fan of cookbooks, this book will blow you away. One cannot merely pick it up, flip though it and set it back down. Every time you pick it up, your mind swims in the information. It is all at once a book of literary criticism, an art book, a culinary history, a recipe book, and a whole lot of fun. "Her cowslip wine was nectar, her sloe gin unequaled. Then the jams, bottled fruit and vegetables, chutneys, pickles,preserves. Her pickled pears were a revelation. The making of these was part of Carrington's secret life." A similar sloe gin comes from the pages of Mrs. Beeton's All About Cookery. Half fill clean, dry wine bottles with the fruit [sloes] previously pricked with a darning needle. add to each, 1 oz of crushed barley-sugar, a little noyeau, or 2 or 3 drops of essence of almonds. Fill the bottles with good unsweetened gin,cork them securely, and allow them to remain in a moderately warm place for 3 months. At the end of this time strain the liqueur through fine muslin or filtering paper until quite clear, then bottle it, cork securely, and store away in a cool, dry place until required for use. If you are a fan of Bloomsbury, a fan of cookbooks, a fan of art you must add this to your reading list.